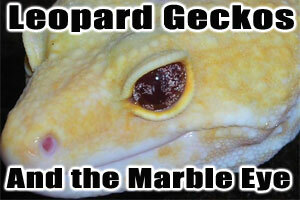 The Marble Eye is a new recessive genetic eye mutation in leopard geckos that causes the eye to have a three dimensional look. It first popped out in our Tremper (albino) sunglow line. Initially it seemed to be just an eye genetic but it is proving to have some hidden genes that we never thought would be expressed.